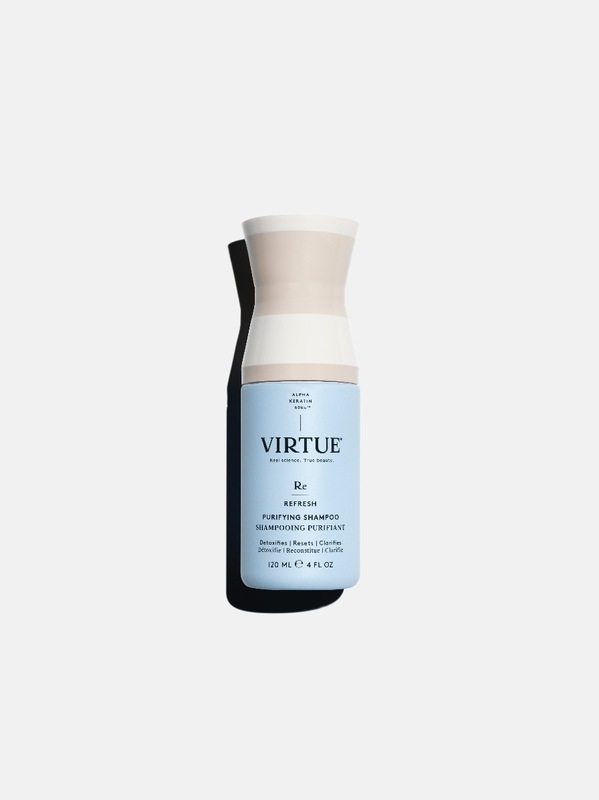 Virtue | *NEW* Virtue Purifying Shampoo FAQ with Head of Product Development, Debby V.
*NEW* Virtue Purifying Shampoo FAQ with Head of Product Development, Debby V.
Home / Virtue Blog / *NEW* Virtue Purifying Shampoo FAQ with Head of Product Development, Debby V.
What is the *NEW* Virtue Purifying Shampoo? This product is all about cleaning, more cleansers and less conditioning agents. Think of purifying shampoo as a shampoo on steroids – it cuts through the product build and oils to leave your hair with a deep clean. When hair is lifeless or not cooperating, those are signs of product build up. The great thing about our purifying shampoo is that while its cleansing its still nourishing your hair. Why do we need the Purifying Shampoo in our showers? Everyone needs a purifying shampoo. Even if you love your regular hair products, a purifying shampoo allows you a fresh start, everything will look better with a cleaner foundation. It removes build up impurities, oils, hard water deposits, can prep your hair for color services or even before you mask. Who is the Purifying Shampoo for? Everyone. Whether you have build up, oilier hair, you swim, live in an area with hard water, or just want to prep your hair for chemical services – you can use our purifying shampoo. When do you use the Purifying Shampoo? That really depends on your hair. Take lead from your hair condition or what your hair is exposed to. Typically you can use a purifying shampoo once a week for what we call a “weekly reset”. If your hair is freshly colored you might do it every other week, but definitely right before color services. If you swim or use a lot of heavy stylers you can definitely use more often. How do you use the Purifying Shampoo? Using a quarter-sized amount of shampoo, add a splash of water and work into a lather between palms. Apply to wet hair, get deep into a massage in your scalp and throughout the length of hair, and rinse well. If your hair is experiencing a lot of build up let that foamy lather sit on your hair for a minute or 2 to work through it and then rinse. Follow with a light conditioner or mask.